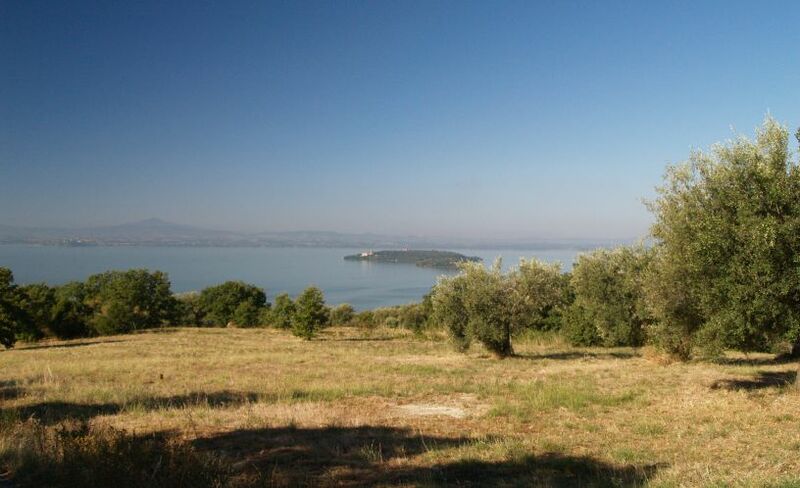 It was great to visit the ancient fishing village of Passignano sul Trasimeno on the shores of Lago Trasimeno surrounded by the lake on one side and lovely low hills of green trees and olive groves -classic Umbrian scenes. 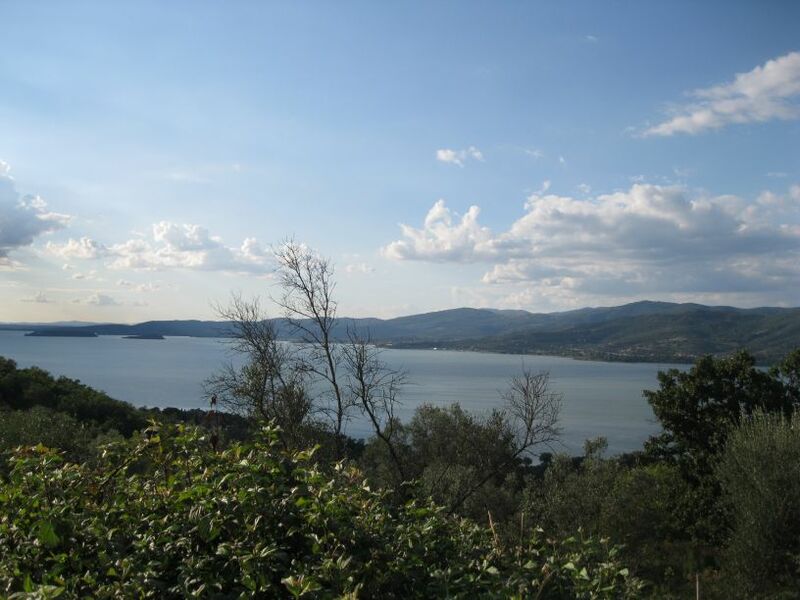 There is quite a busy road running by the lake through the town connecting Umbria and Tuscany. 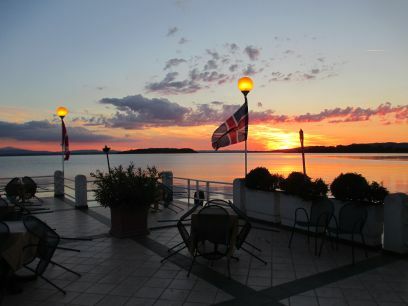 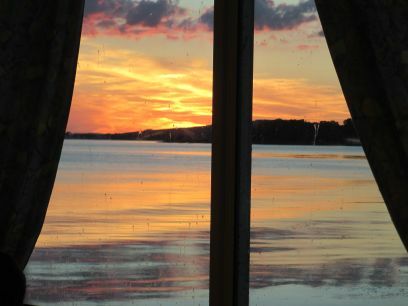 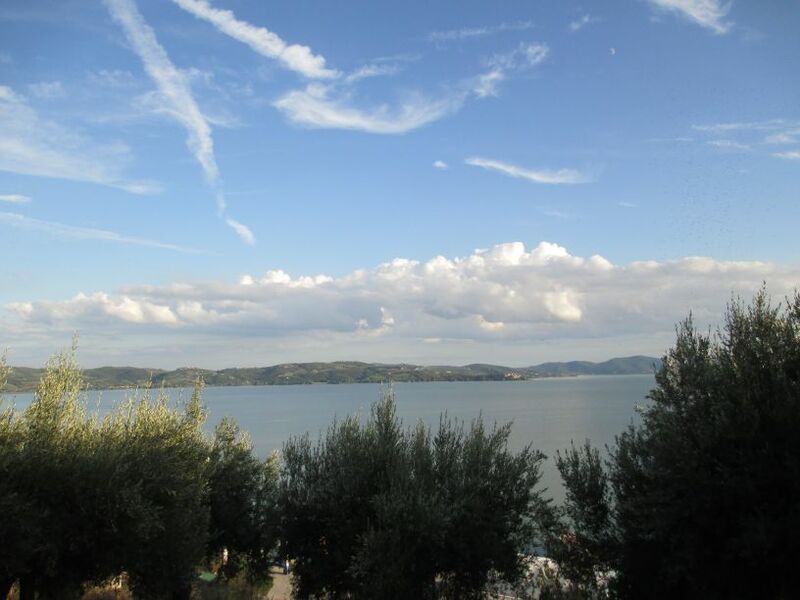 Passignano is the more tourist holiday character of the towns on the shores of Lake Trasimeno. 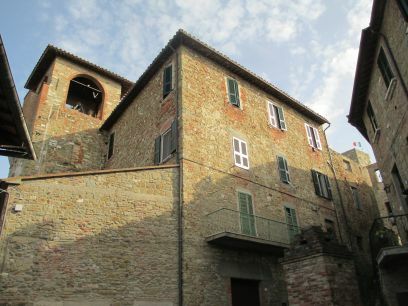 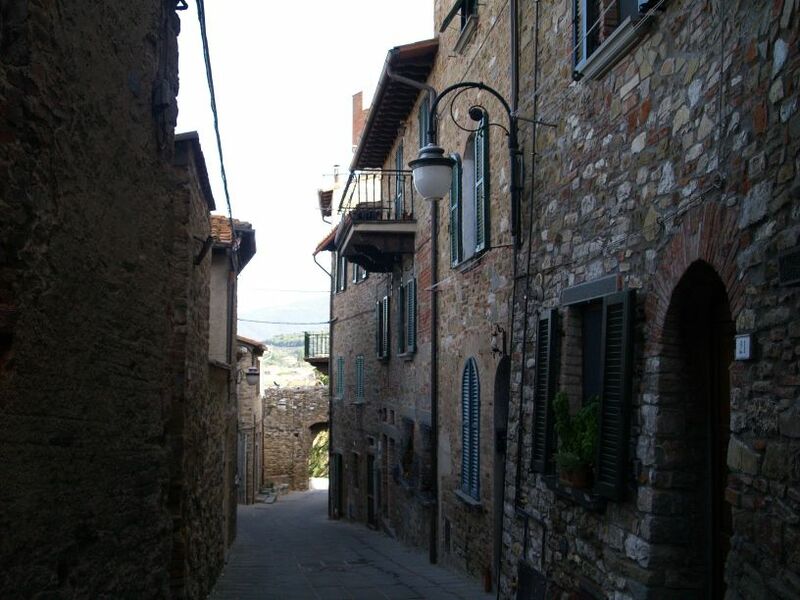 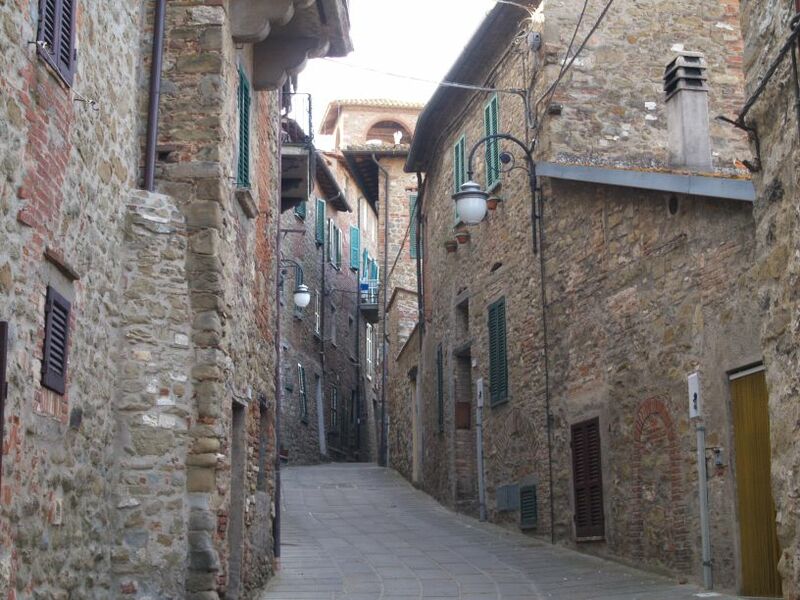 Despite this, it is still an attractive old medieval town with its narrow streets, cafes and shops, all dominated by the Rocca medieval castle at the top of the hill above the town and lake. 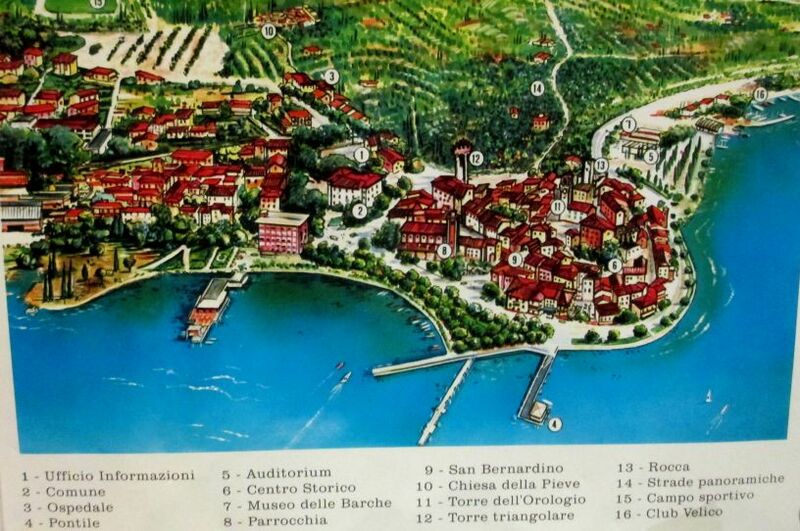 The town of Passignano on Lake Trasimeno, Italy: Map of the town. 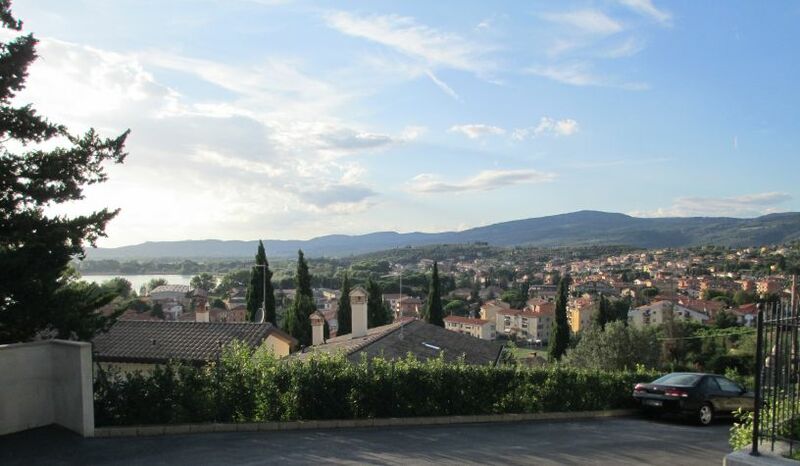 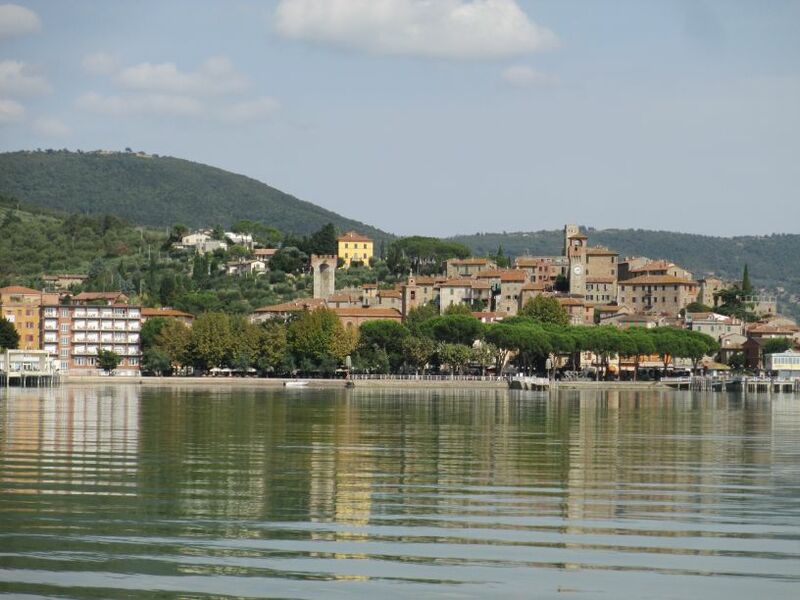 The town of Passignano on Lake Trasimeno, Italy: View across the lake to the hills. 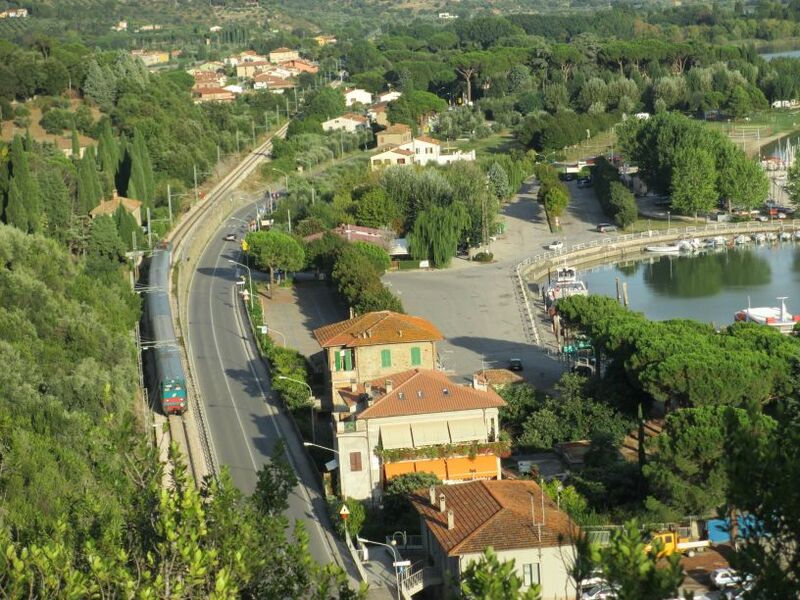 The town of Passignano on Lake Trasimeno, Italy: First view of hill-top medieval Passignano above the railway tunnel as the line heads south towards Perugia and Rome. 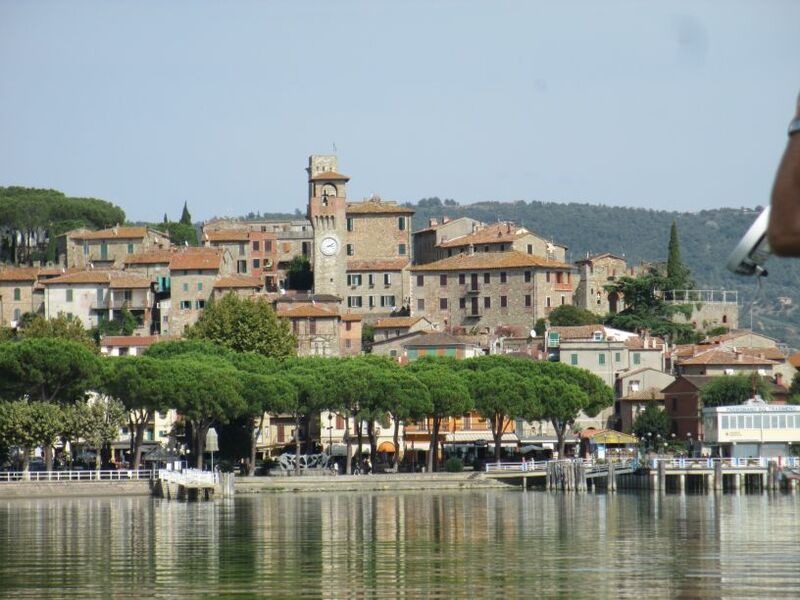 The town of Passignano on Lake Trasimeno, Italy: View of the town from the ferry boat, near the arrival/departure jetty. 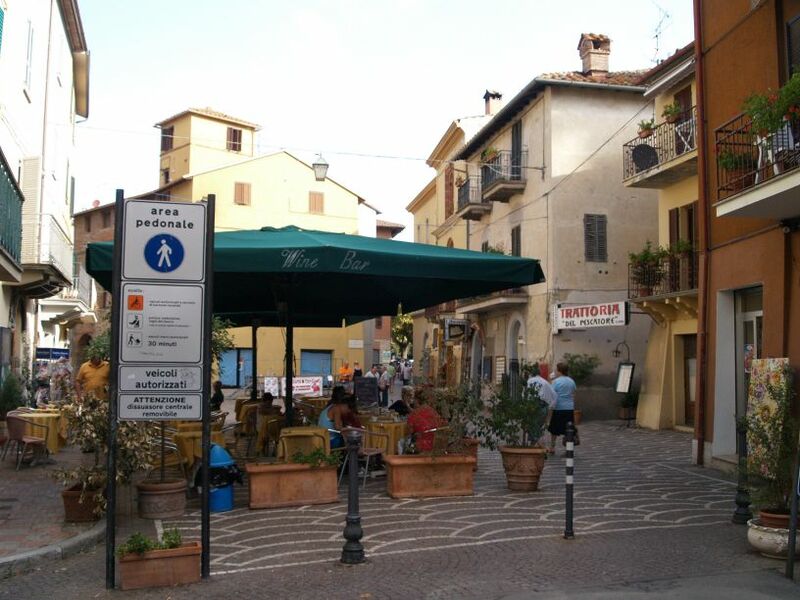 The town of Passignano on Lake Trasimeno, Italy: Lots of narrow winding streets to explore above Piazza Garibaldi, where there are shops and cafes to serve the local and tourist needs. 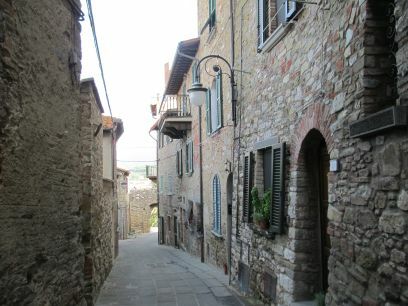 The town of Passignano on Lake Trasimeno, Italy: A street winding its way up towards the castle. 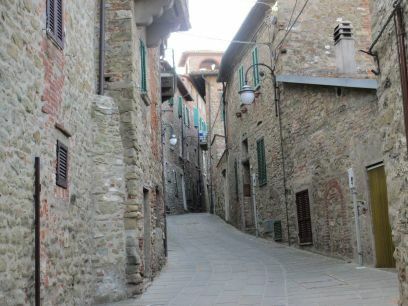 The town of Passignano on Lake Trasimeno, Italy: A street that winds its way down through the wall gateway, the lake beyond. 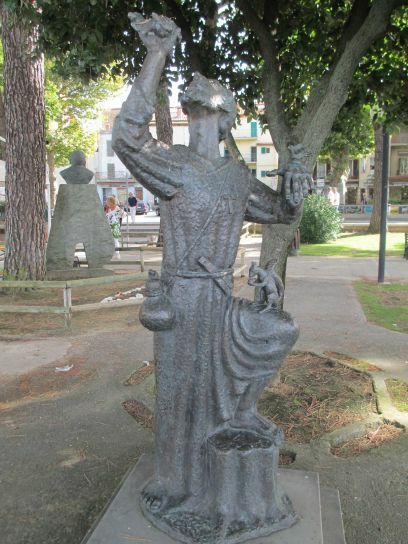 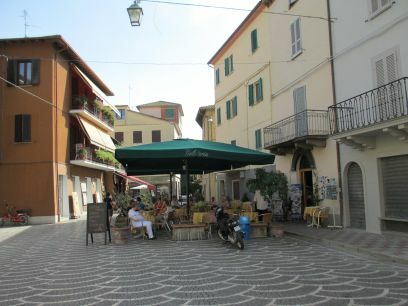 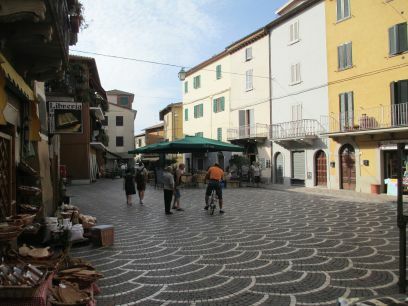 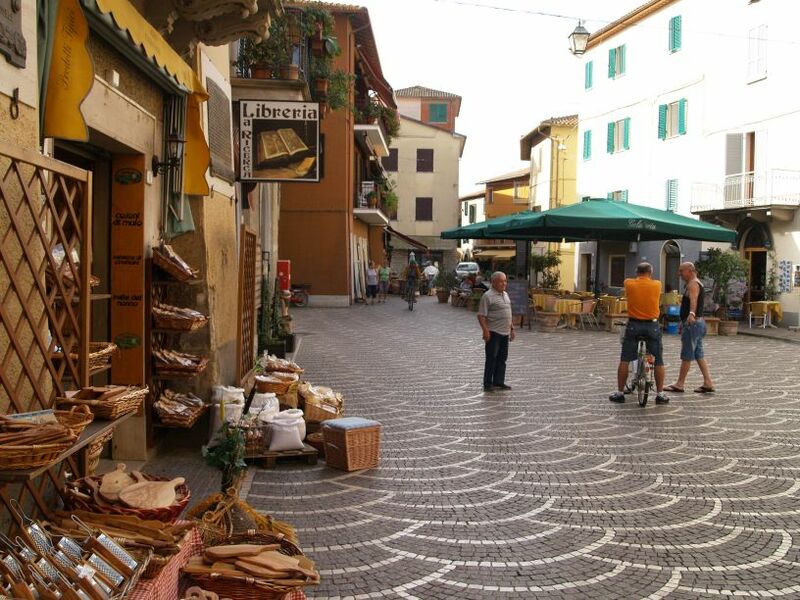 The town of Passignano on Lake Trasimeno, Italy: Piazza Garibaldi. 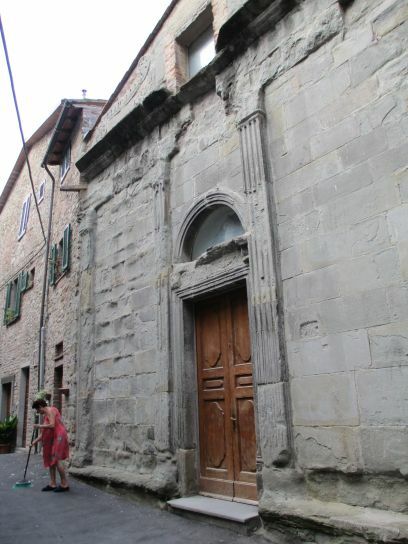 The town of Passignano on Lake Trasimeno, Italy: An old doorway to an old church with a local lady sweeping the street clean - and Passignano is a clean well kept town. 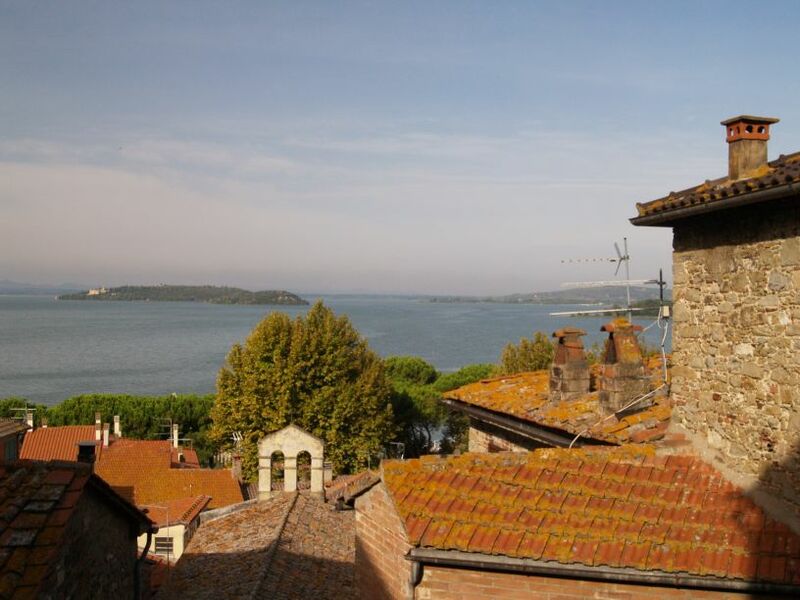 The town of Passignano on Lake Trasimeno, Italy: View across Passignano and the lake to the island of Isola Maggiore. 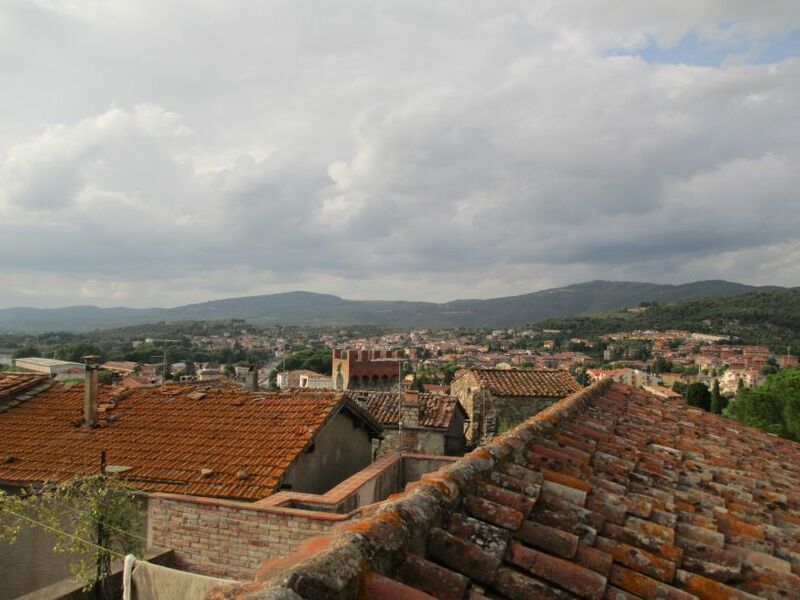 I love the red roofs! 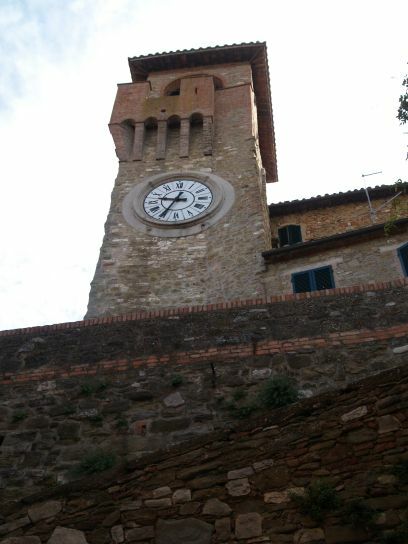 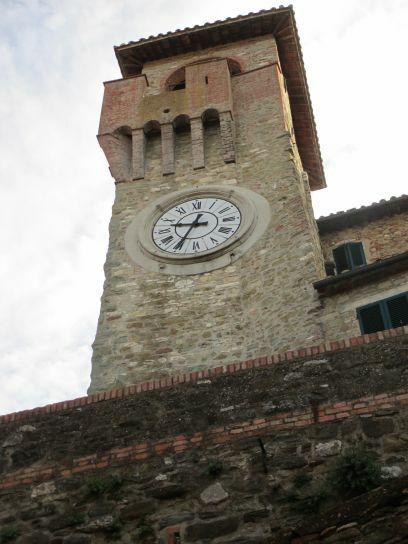 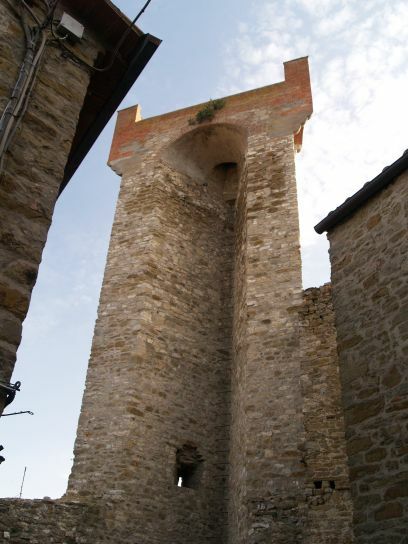 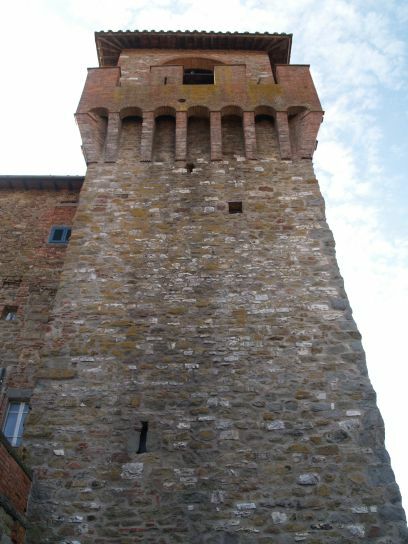 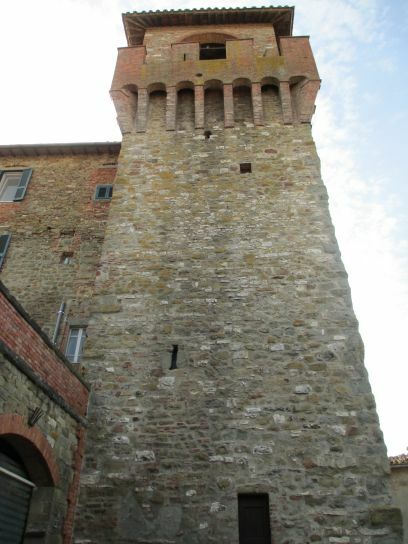 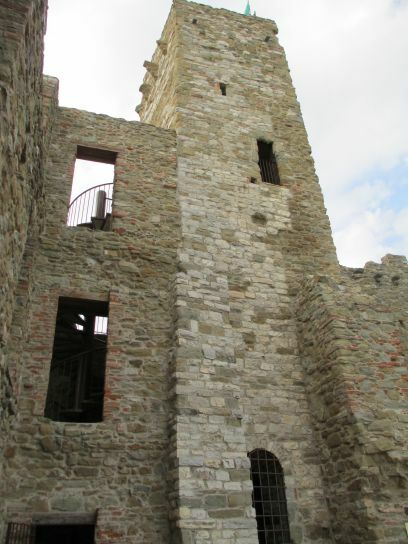 The town of Passignano on Lake Trasimeno, Italy: One of the towers of the medieval castle with its somewhat later clock (Torre dell'Orogogio). 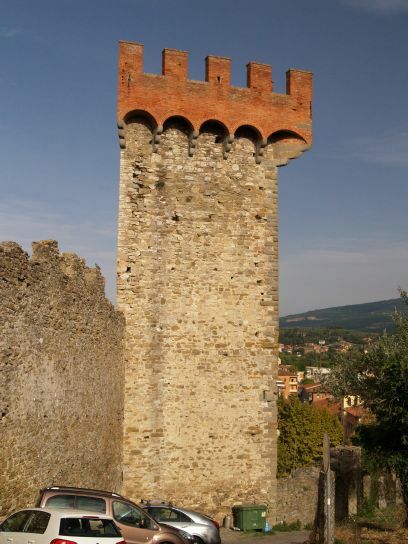 The town of Passignano on Lake Trasimeno, Italy: Torre triangolare (triangular tower) and some of the castle walls. 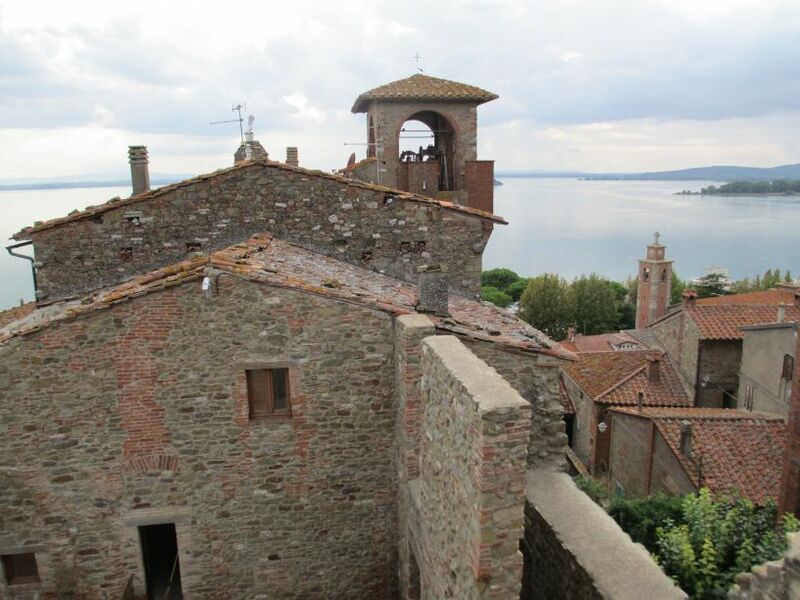 The town of Passignano on Lake Trasimeno, Italy: Rocca Passignano, which you find by winding your way up through narrow streets and flights of steps. 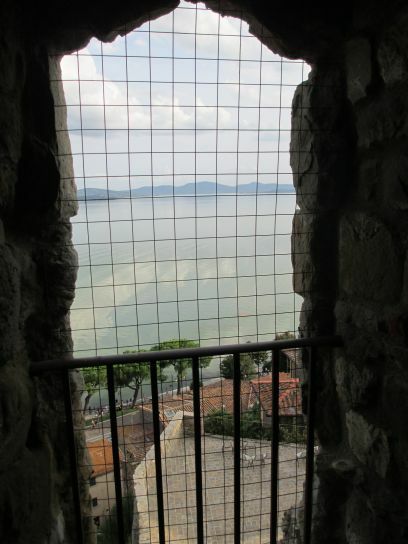 You can climb the castle's medieval tower for great views across the town and lake. 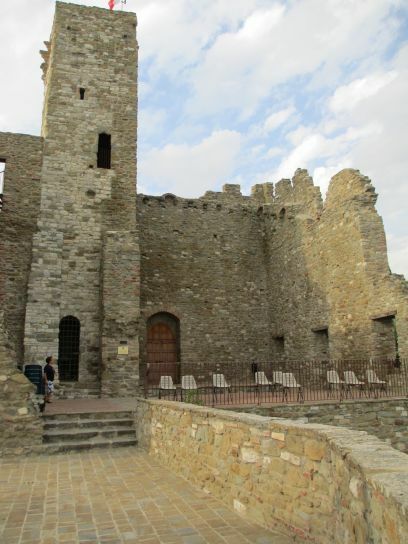 The original Rocca fortress dates back to Longobardian times in the 5th-6th century and as can be seen, gives magnificent views over the lake and town. 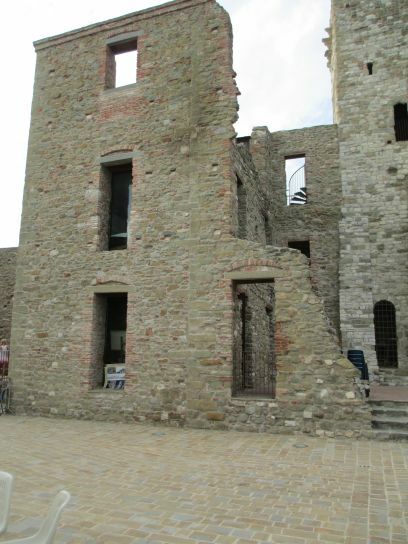 The castle is used as a venue exhibitions, concerts, theatre and the yearly Christmas nativity play. 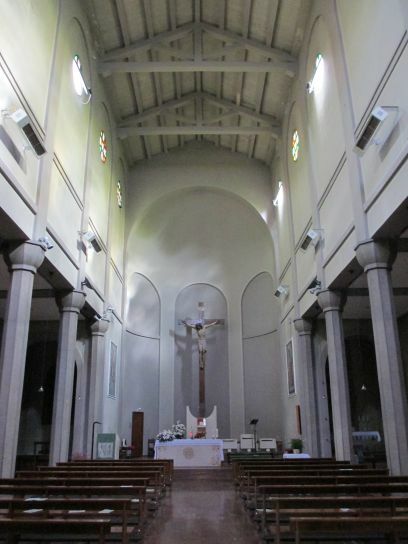 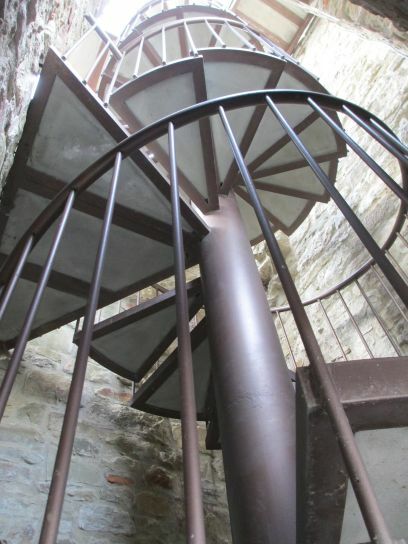 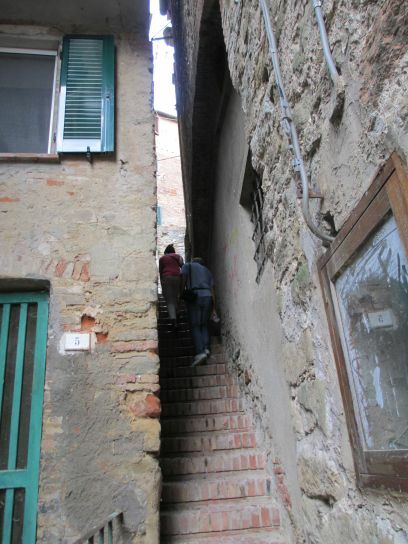 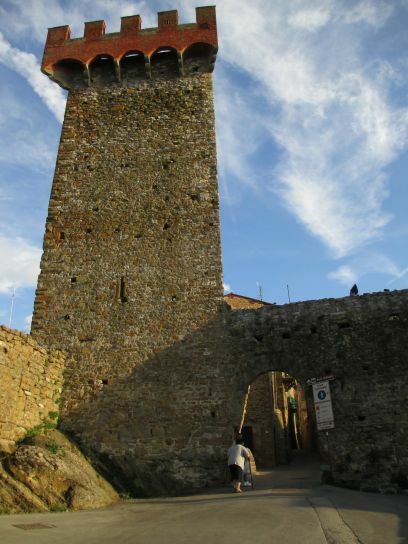 The town of Passignano on Lake Trasimeno, Italy: The art exhibition in the tower. 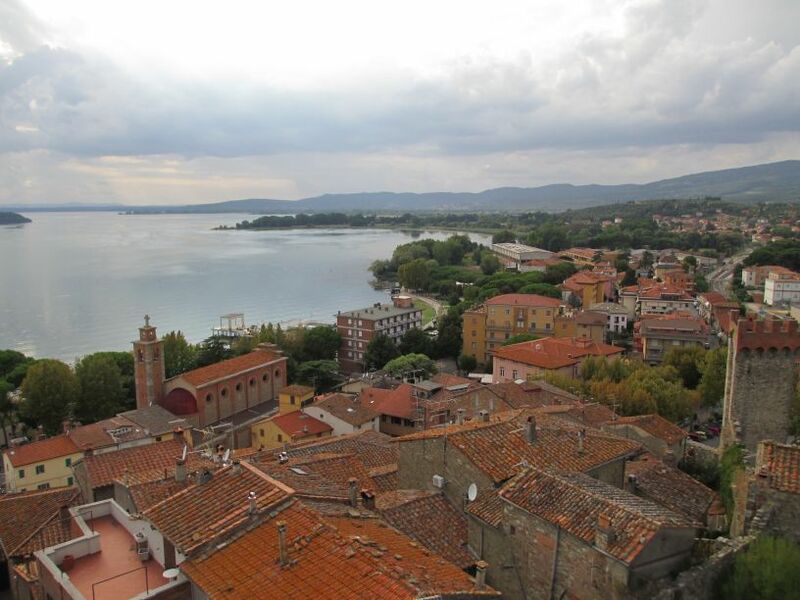 The town of Passignano on Lake Trasimeno, Italy: View from the castle walls. 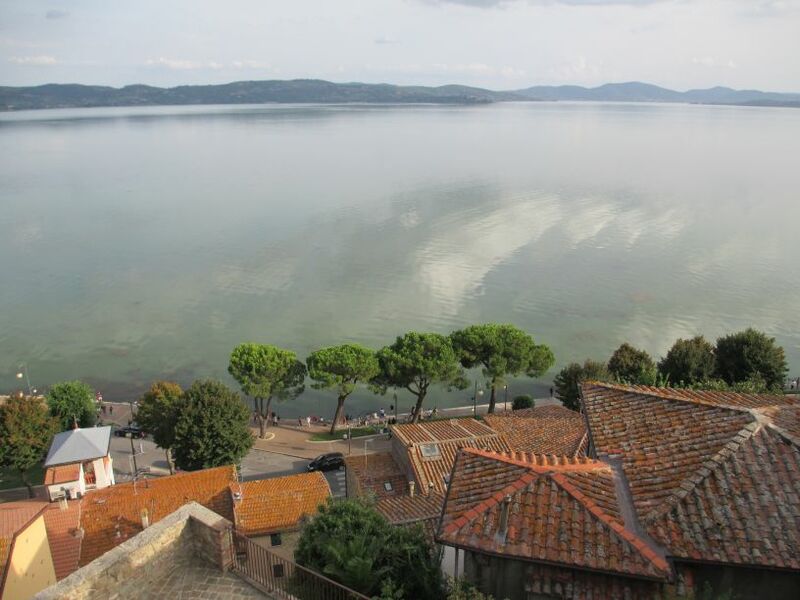 The town of Passignano on Lake Trasimeno, Italy: View across to the harbour. 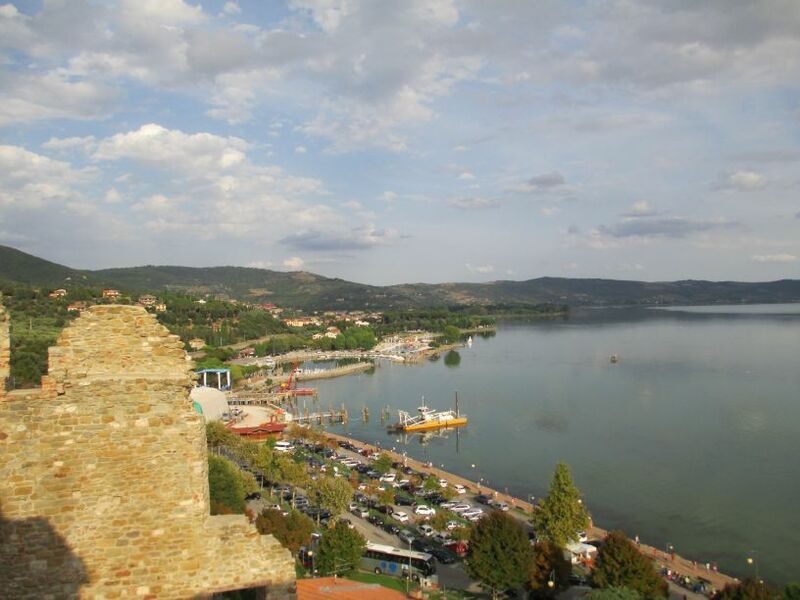 The town of Passignano on Lake Trasimeno, Italy: View across the lake from the castle. 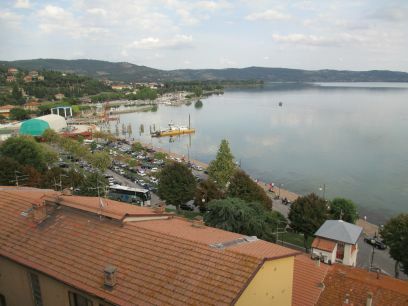 The town of Passignano on Lake Trasimeno, Italy: The harbour. 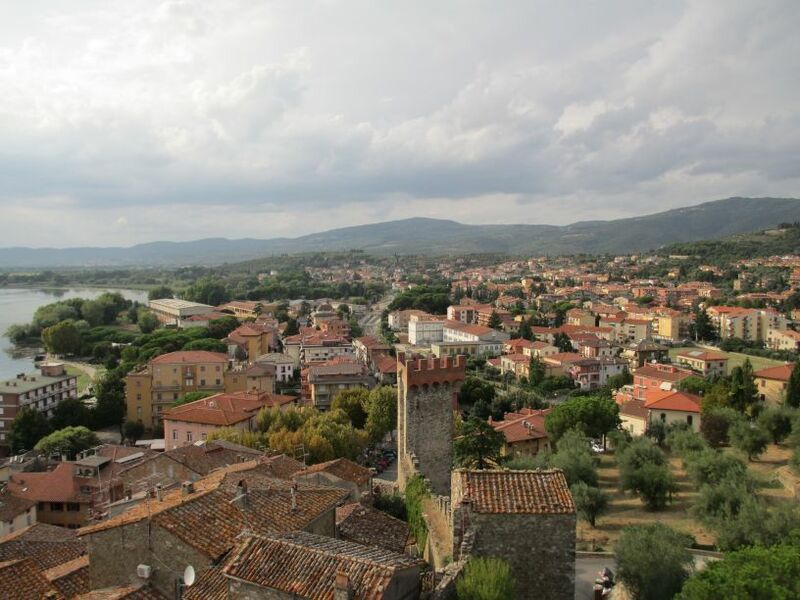 The town of Passignano on Lake Trasimeno, Italy: A good view over Passignano with the triangular tower and the city walls in the foreground. 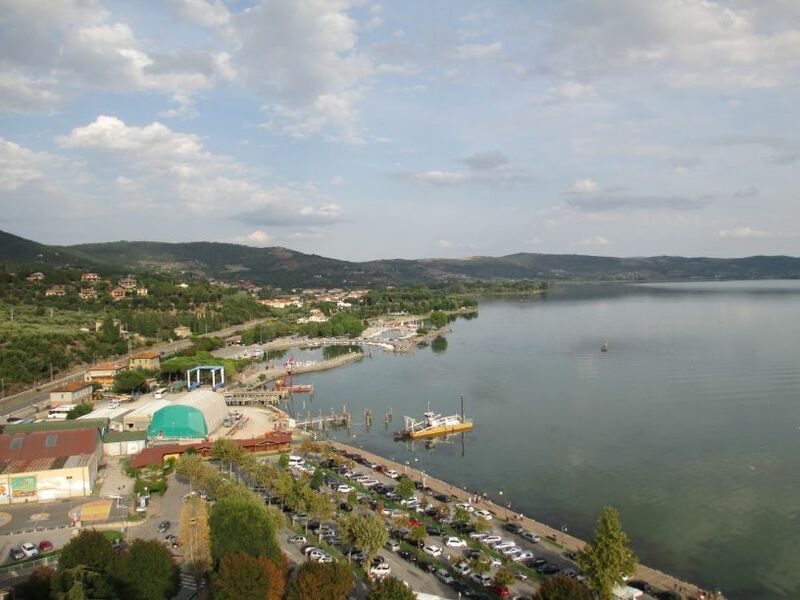 The town of Passignano on Lake Trasimeno, Italy: View across the town, the Hotel Lido is in the centre, the Parrocchia on the left and the Torre triangolare on the right. 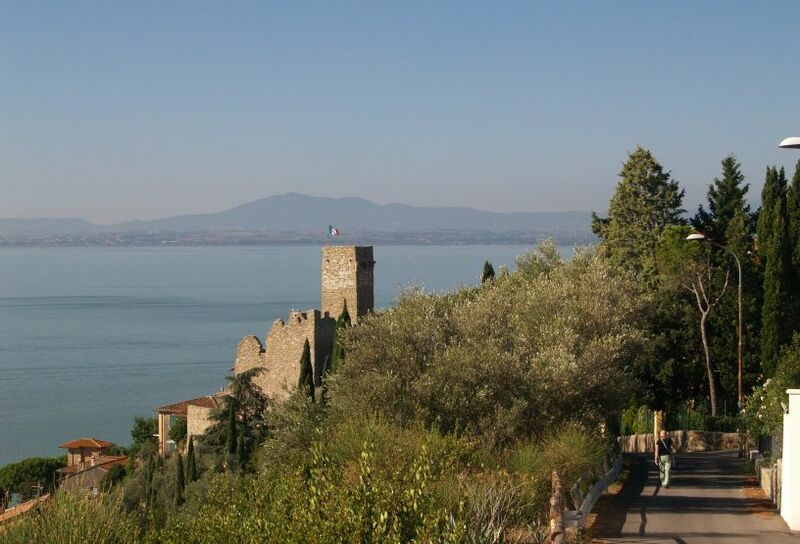 The town of Passignano on Lake Trasimeno, Italy: You pass the Parrocchia on the lakeside walk round to the harbour. 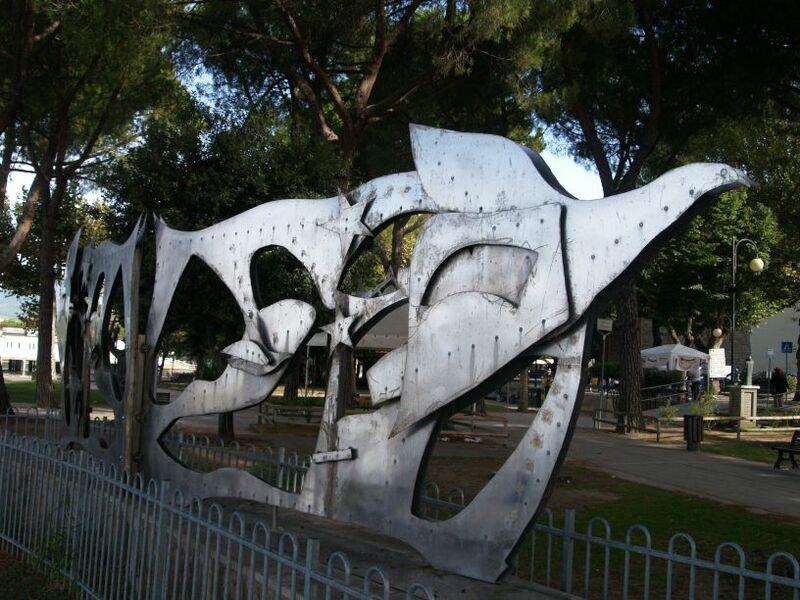 The memorial to air cadets, and his is a tribute to the first Italian school for water plane pilots (waterplanes - amphibious aircraft? 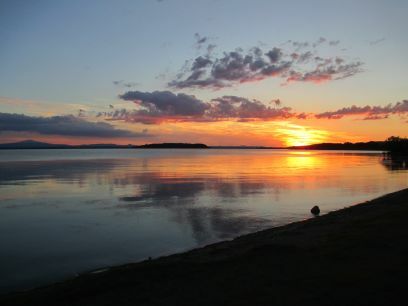 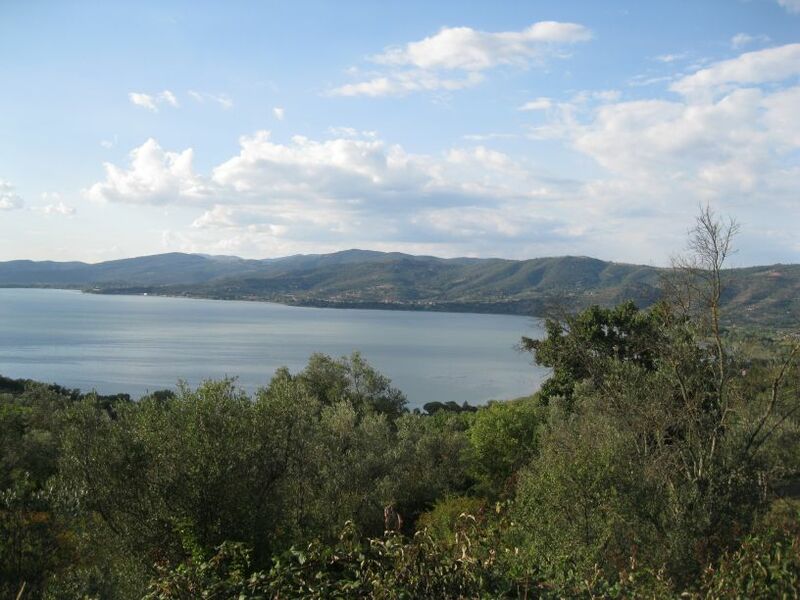 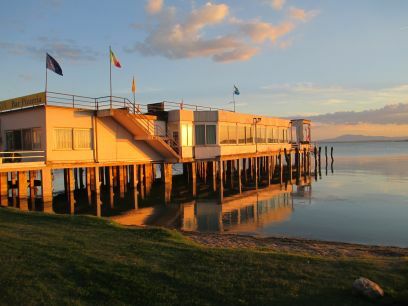 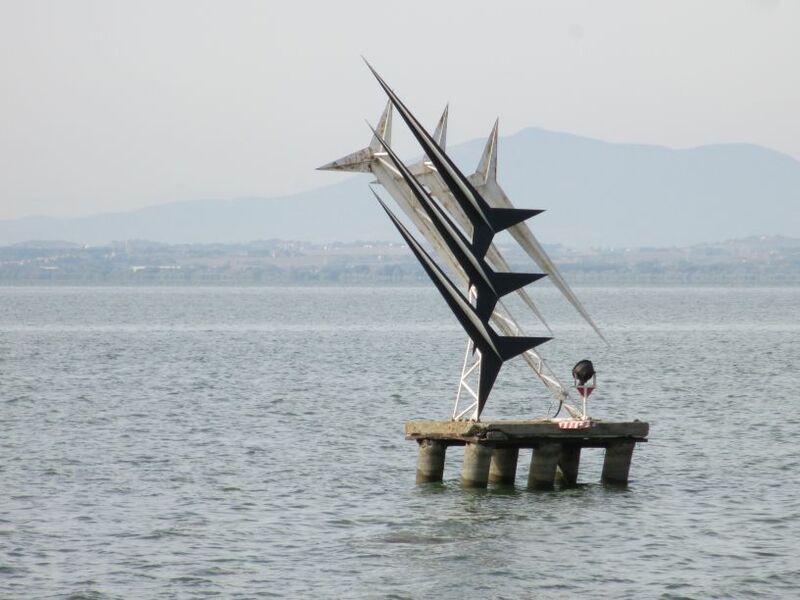 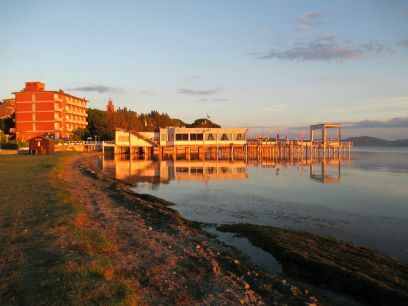 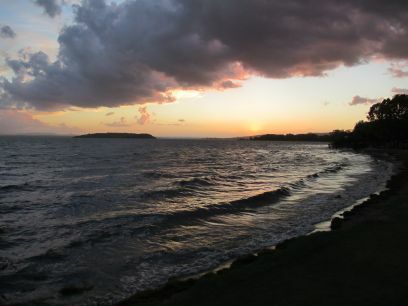 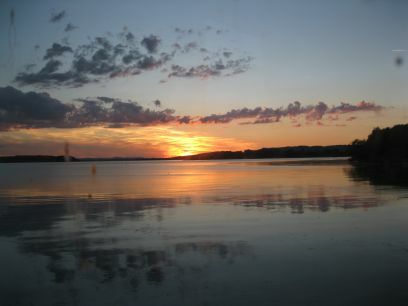 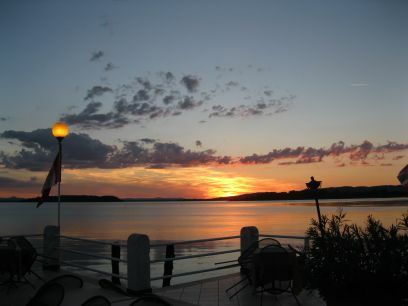 ), it is just offshore near the lake shore at Passignano, it is also a favourite spot for shoreline fishing enthusiasts. 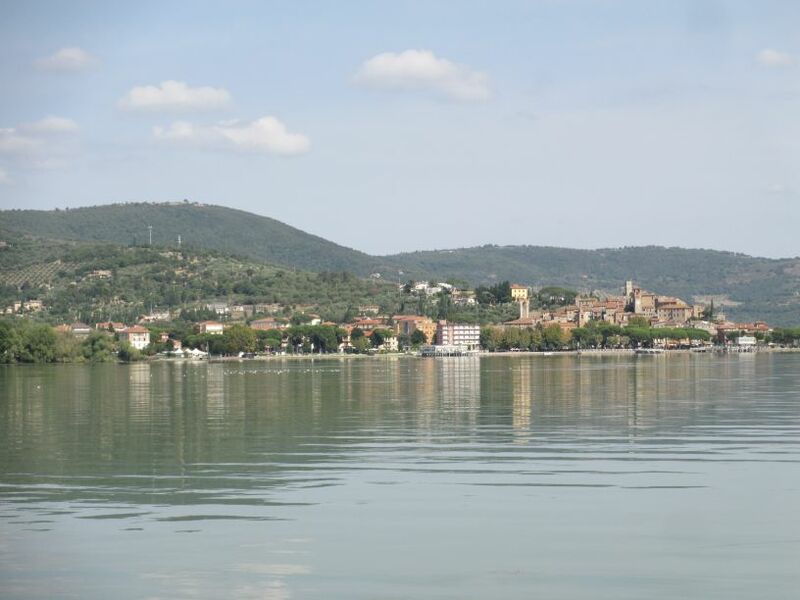 The town of Passignano on Lake Trasimeno, Italy: View of the town from the ferryboat. 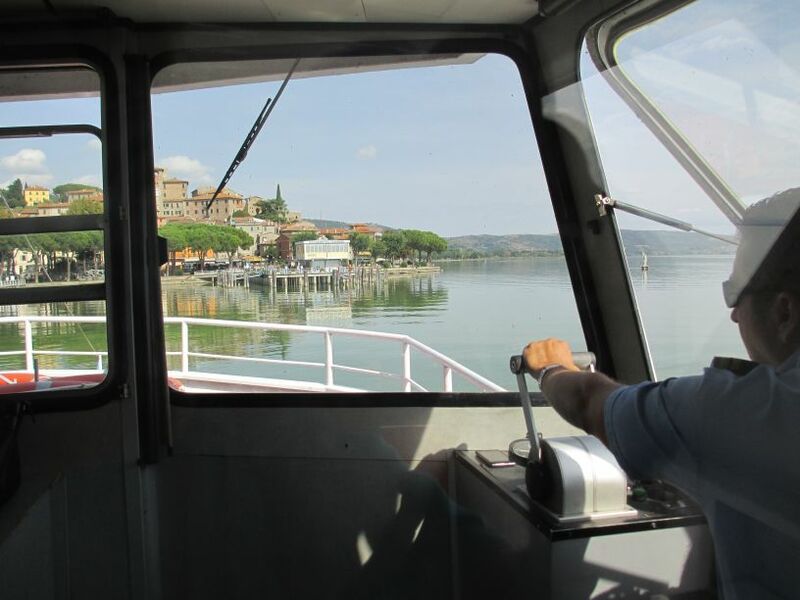 The town of Passignano on Lake Trasimeno, Italy: The captains view of the town. 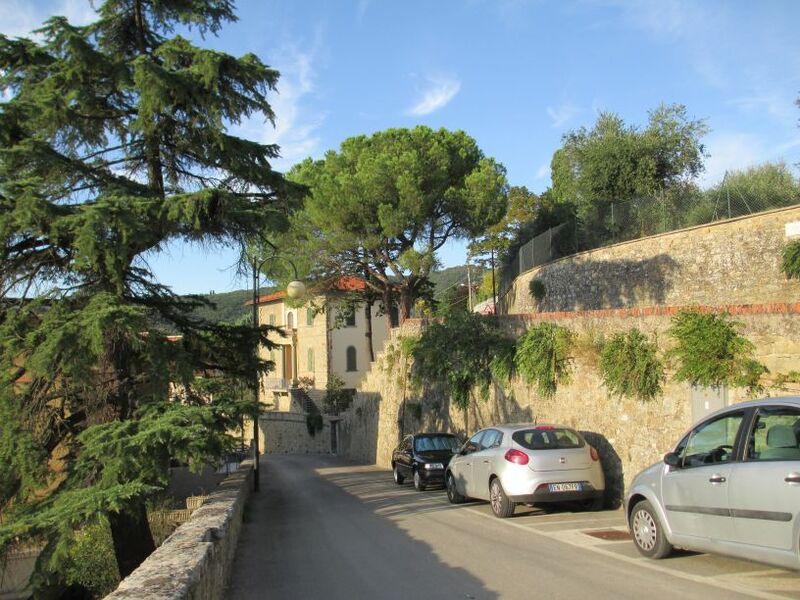 The town of Passignano on Lake Trasimeno, Italy: Walking the quiet roads above the town, in the beautiful late afternoon light. 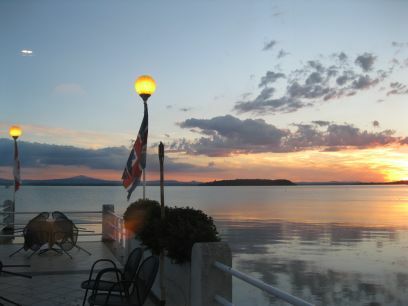 The town of Passignano on Lake Trasimeno, Italy: Evening falls on the town. 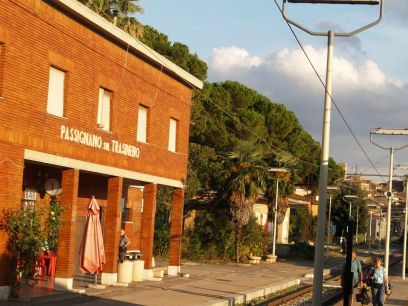 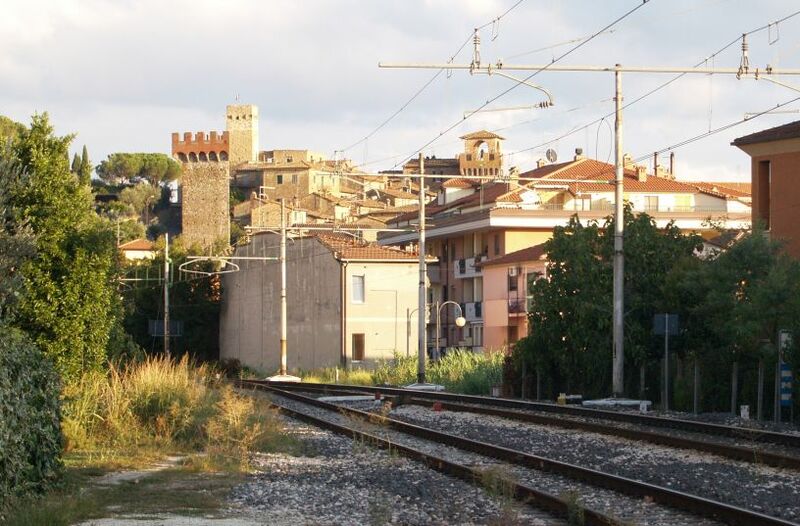 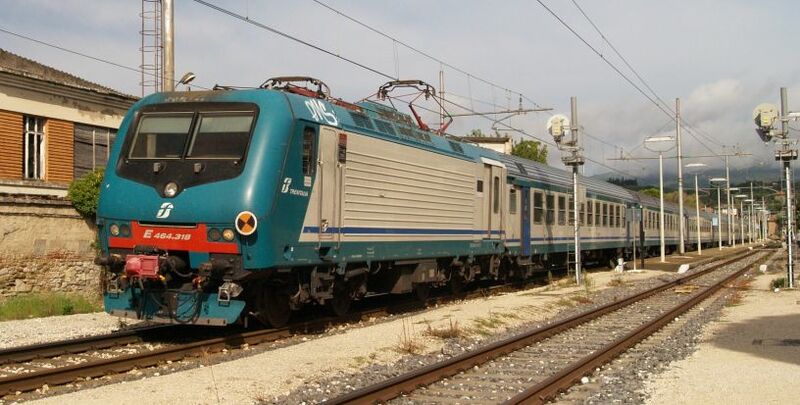 The town of Passignano on Lake Trasimeno, Italy: View of the railway near the harbour. 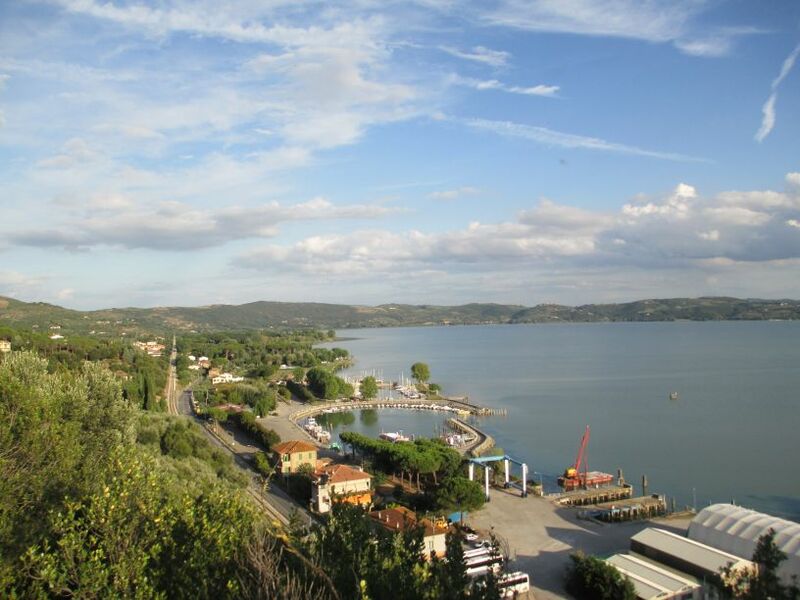 The town of Passignano on Lake Trasimeno, Italy: View of the railway and harbour. 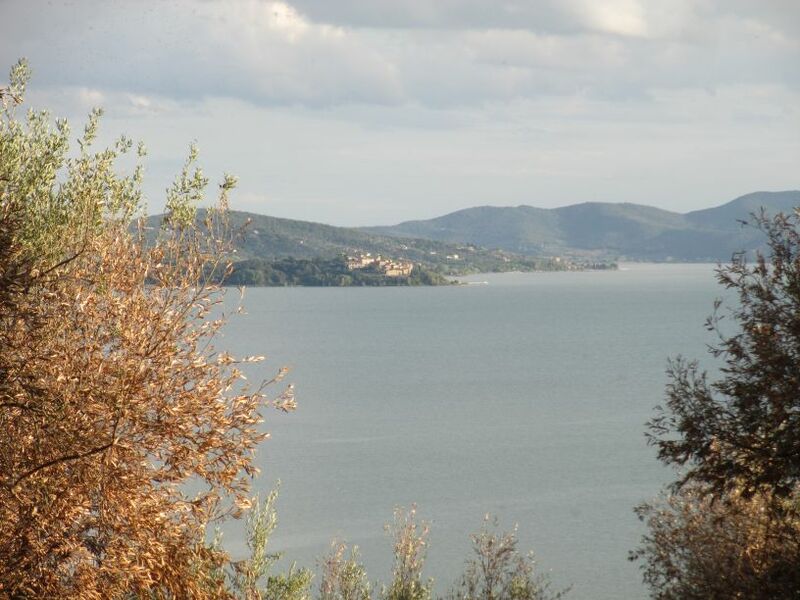 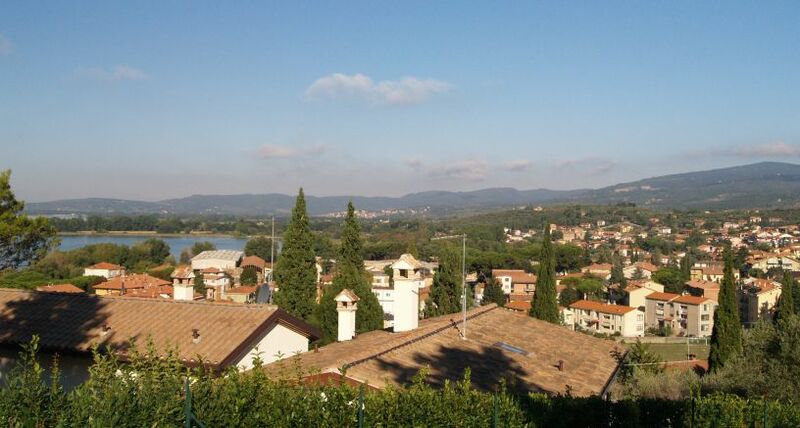 The town of Passignano on Lake Trasimeno, Italy: View across to Castiglione del Lago? 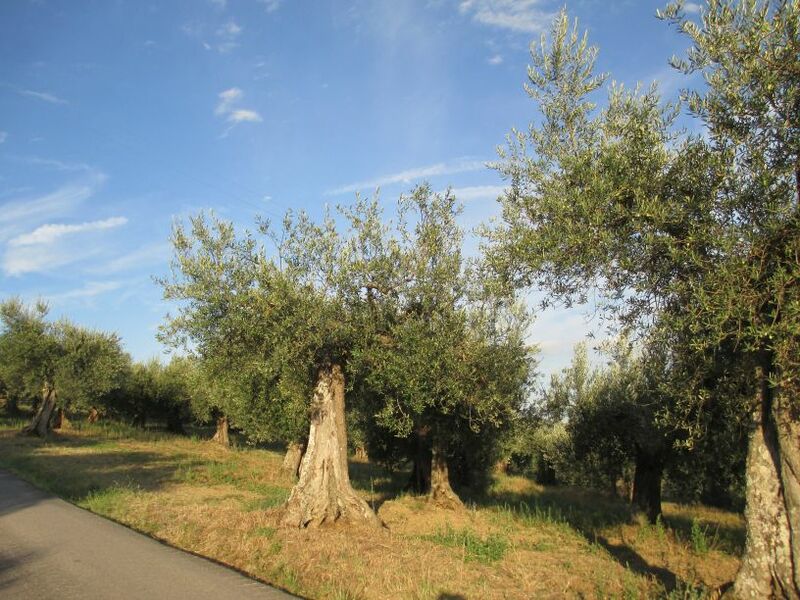 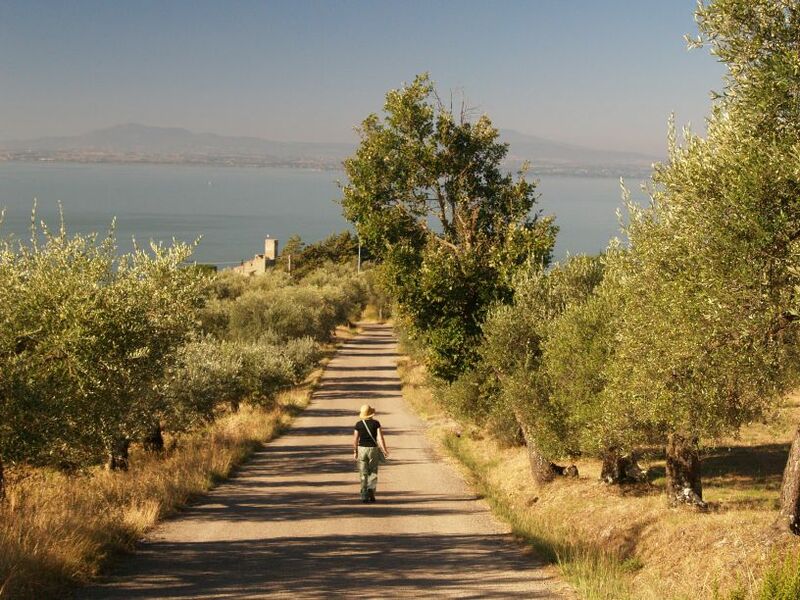 The town of Passignano on Lake Trasimeno, Italy: The old olive groves on the hills above the town. 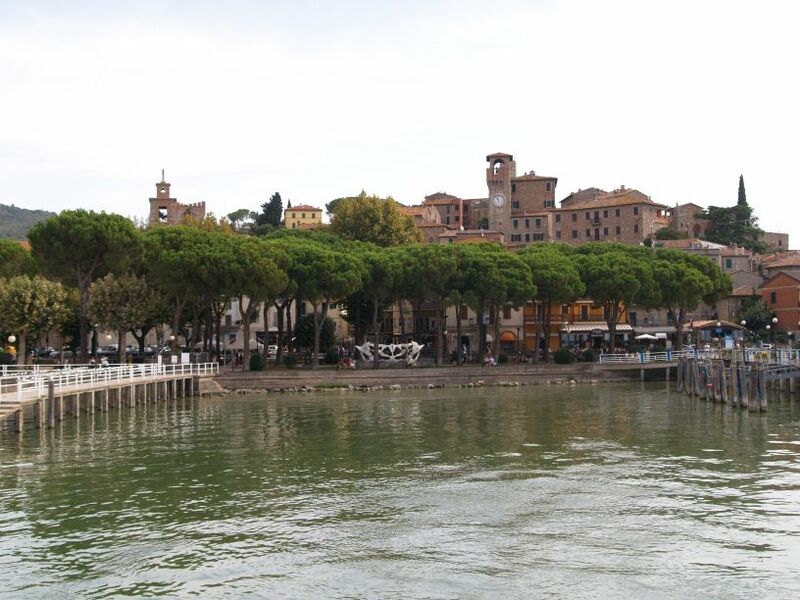 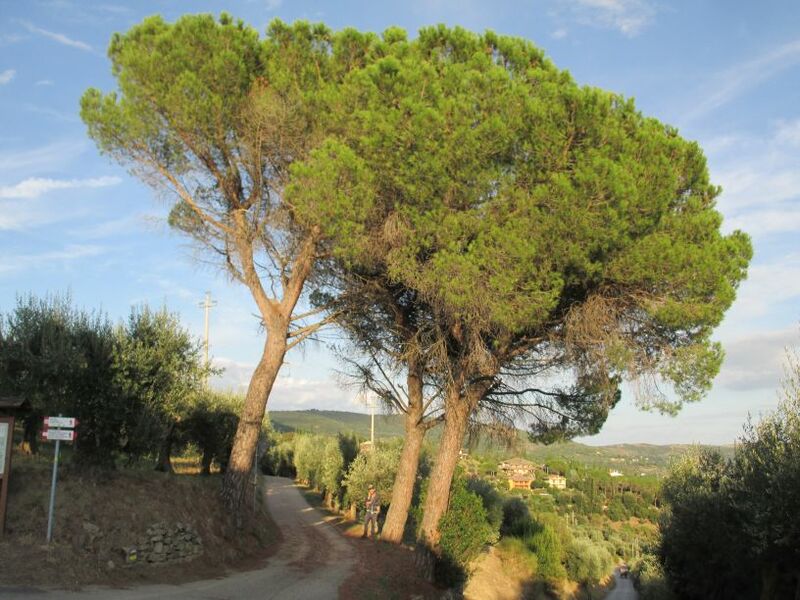 The town of Passignano on Lake Trasimeno, Italy: Gentle trees. 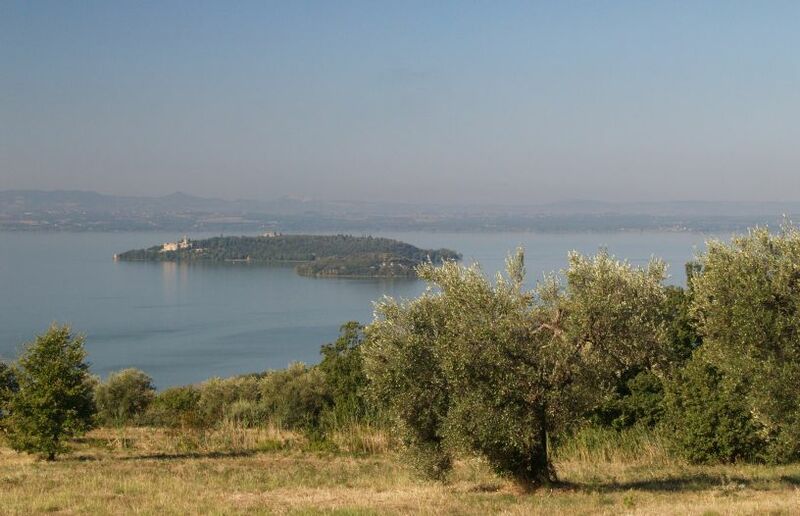 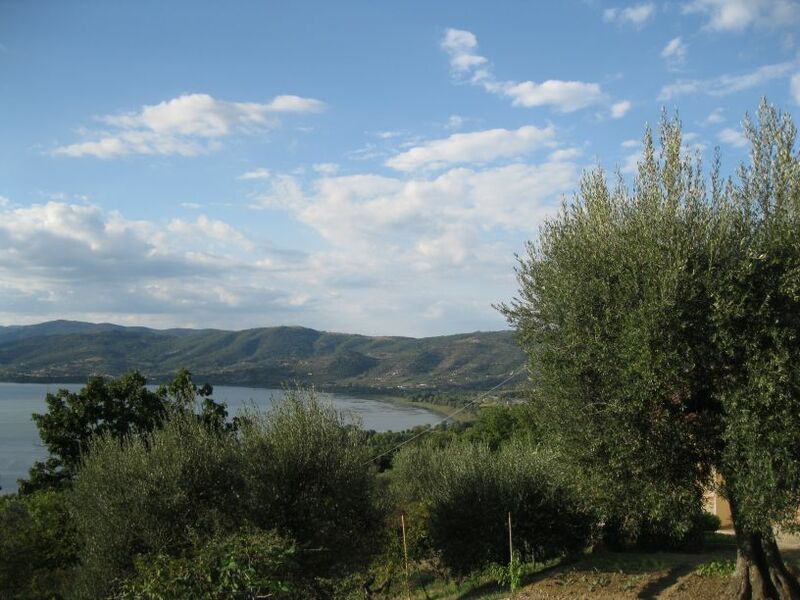 The town of Passignano on Lake Trasimeno, Italy: View of the lake through the olive trees. 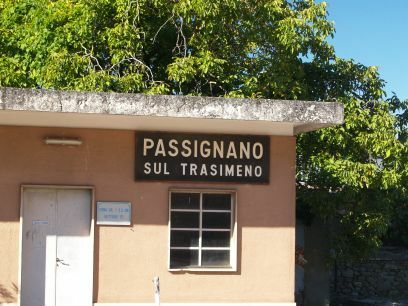 The town of Passignano on Lake Trasimeno, Italy: There was an aircraft factory, the SAI Ambrosini, long since abandoned as an industrial center. 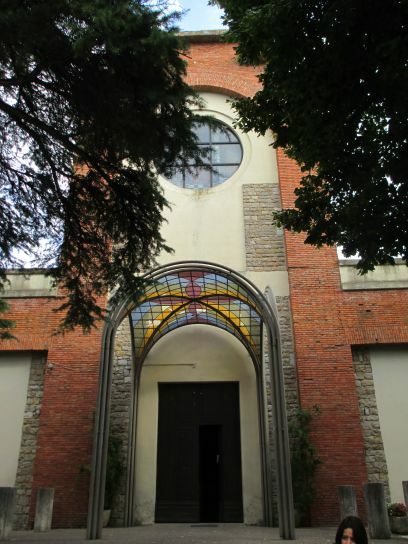 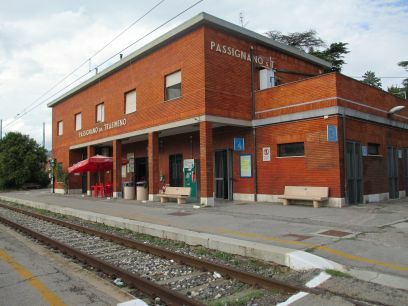 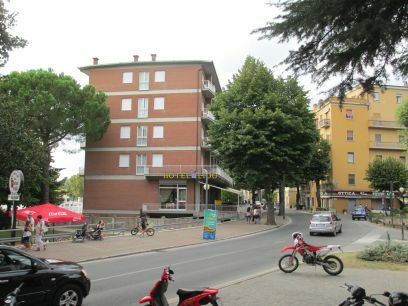 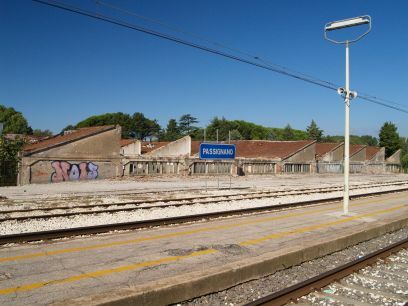 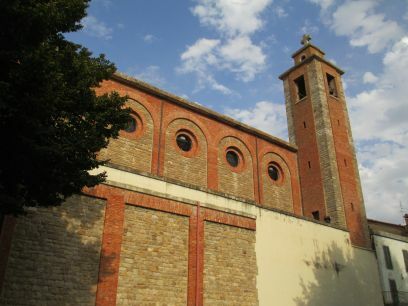 The works was founded around 80 years ago and the buildings still exist near the Passignano sul Trasimeno railway station. 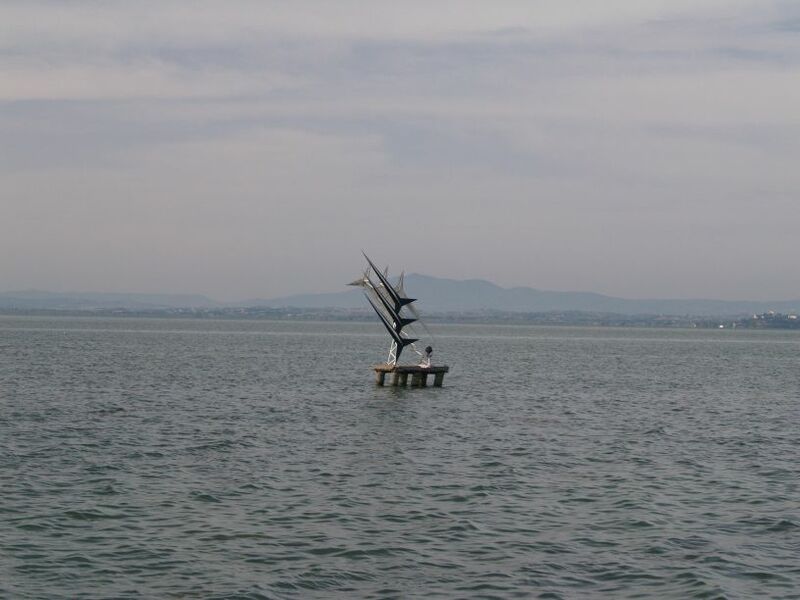 The SAI Ambrosini company made several types of aircraft, designed by engineer Sergio Stefanutti. 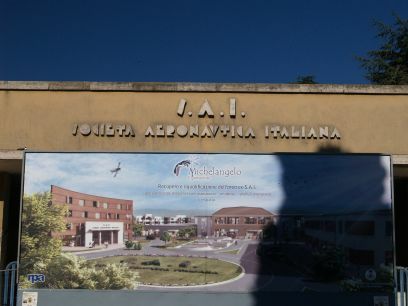 Aircraft were tested at Eleuteri airport, only few kilometers away from the factory. 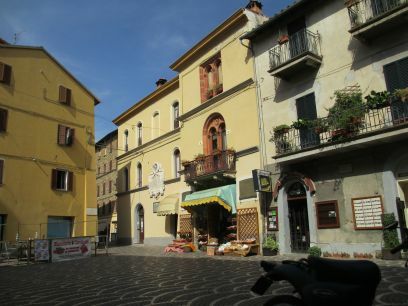 SAI was involved mainly with Macchi during World War II. 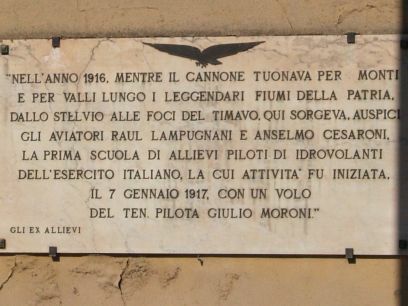 Eleuteri was also used as test center for the Ambrosini SS.4, advanced canard aircraft, which crashed in the second flight and the project was abandoned. 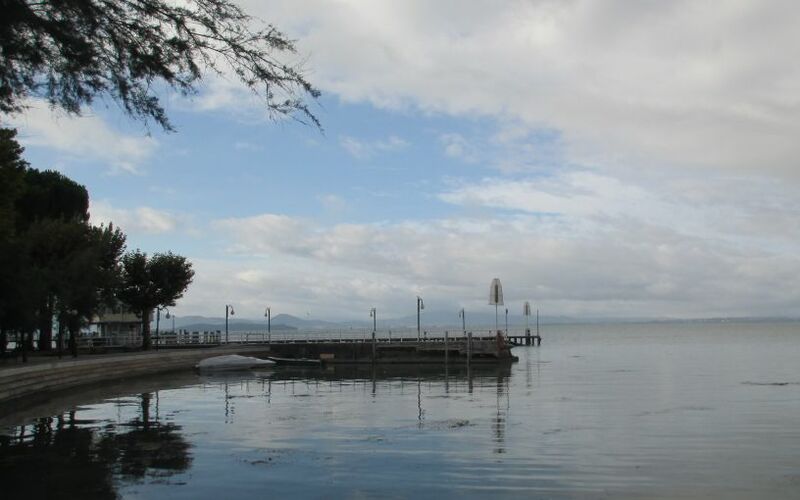 The town of Passignano on Lake Trasimeno, Italy: The jetty near the town centre lakeside. 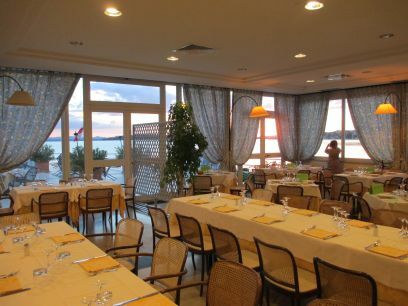 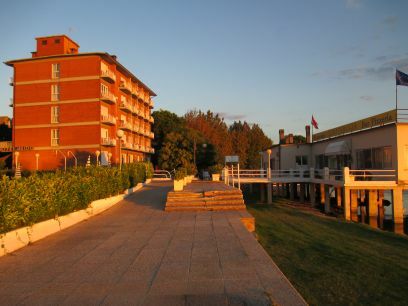 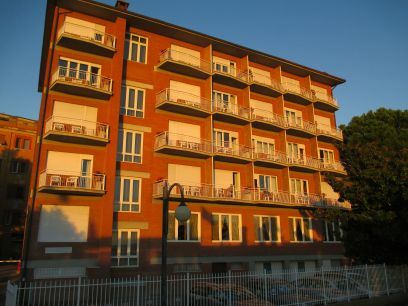 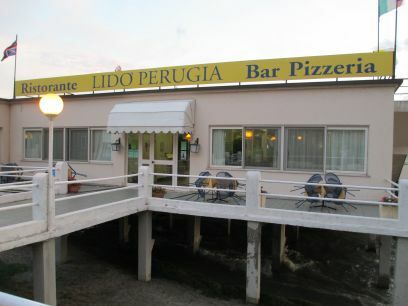 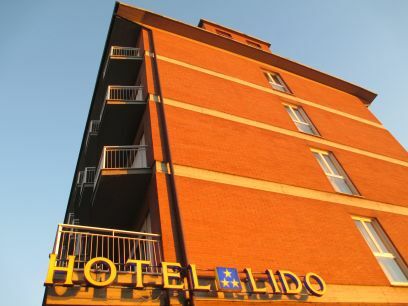 The Hotel Lido, with its several stories of rooms, bar and dining room, views over the lake and very convenient for the shops and cafes of Passignano and the railway station too. 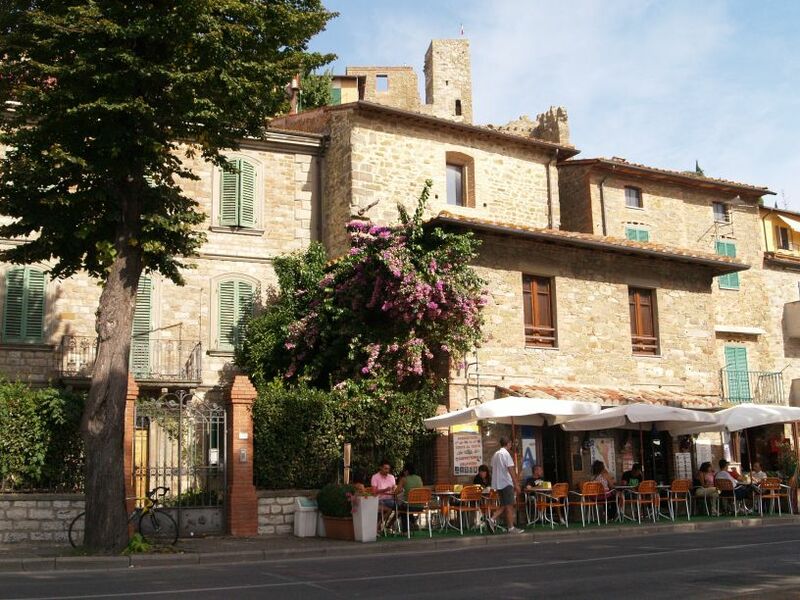 The town of Passignano on Lake Trasimeno, Italy: A lakeside cafe-bar below the castle, 'The Rocca'.